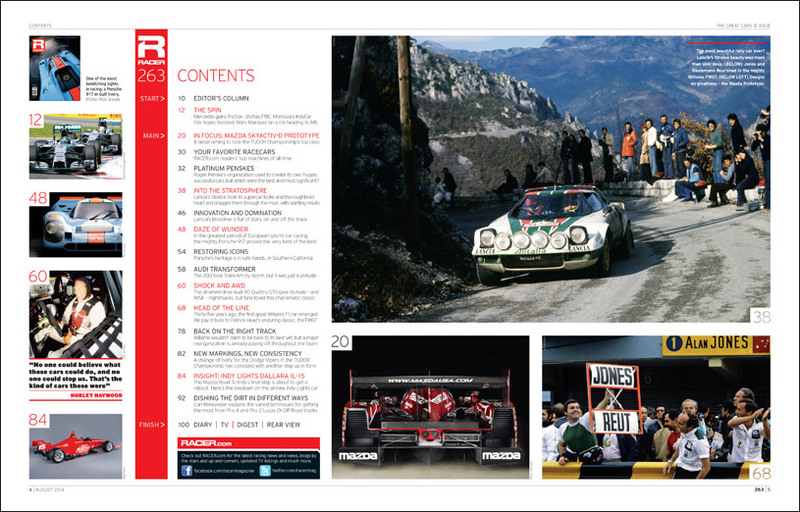 RACER's Great Cars Issues always cause the same dilemmas: What to include? What to leave out? Whatever, we were determined to avoid "merely" wallowing in nostalgia. 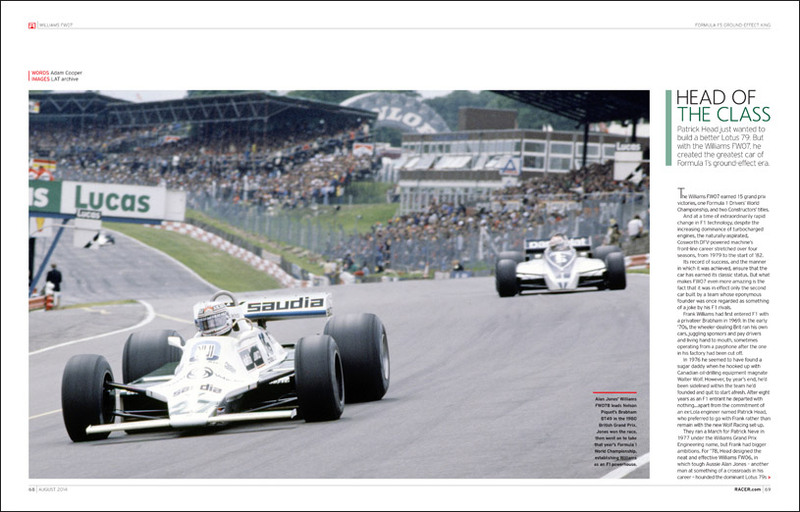 For example, although we know this year’s Williams FW36 Formula 1 car won't be added to the list of all-time greats, it's good enough to set in motion a Williams revival that may yet lead to the sort of sustained success triggered by the team's first great car, the FW07, some 35 years ago. So we took the opportunity to pay tribute to one of our favorite "oldies" while also taking a look inside the reformatted and renewed Williams team of 2014. 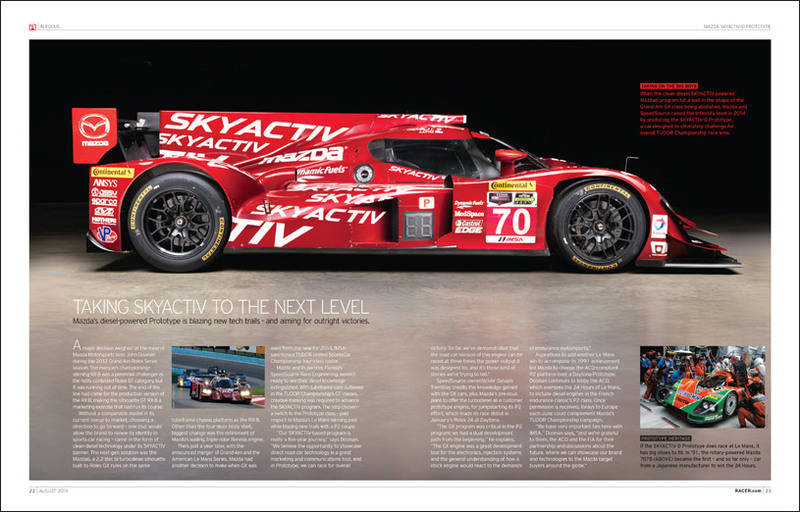 Mazda's clean diesel SKYACTIV-D Prototype is going through typical new-car growing pains on a high-profile stage in the TUDOR United SportsCar Championship, but its progress so far is remarkable for a racecar that's taken such a determinedly unique approach in its quest for greatness. 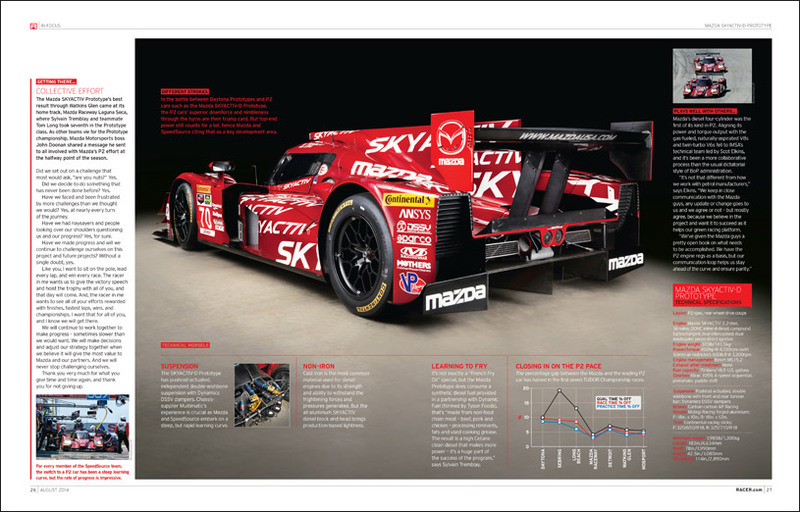 How will we reflect on this Mazda should it prove a turning point for the way TUDOR Championship prototypes are powered? But if we took a flyer on the Mazda, how about a car that hadn't even tested by the time this issue went to press? 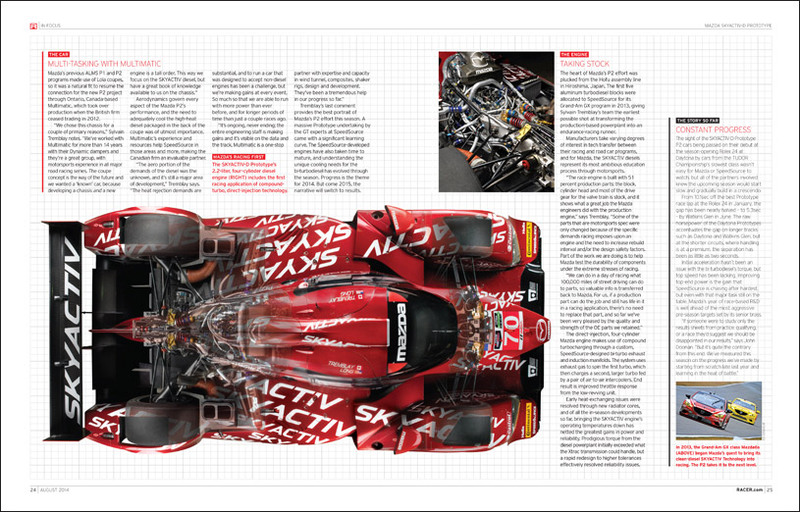 Judging the Dallara IL15's greatness will be difficult, given that Indy Lights is a spec series. 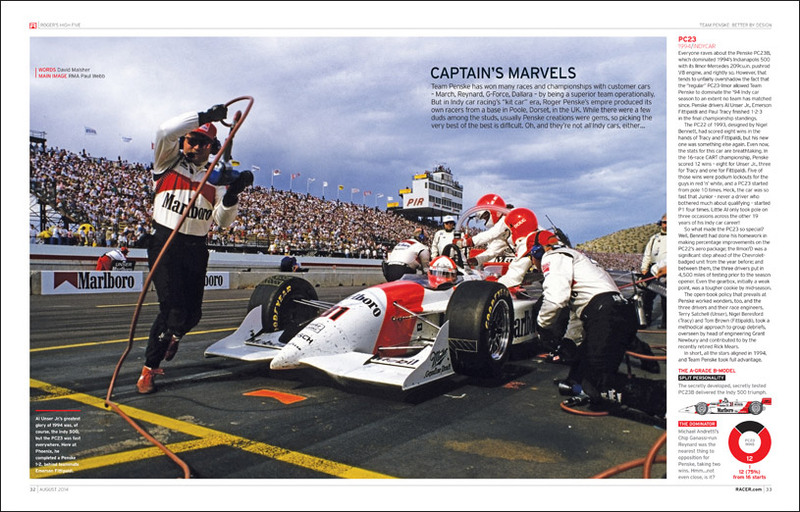 But to our eyes, it's one of the best looking open-wheel cars of the era, and a vital tool for training young drivers for the Verizon IndyCar Series. If the IL15 proves key in developing a new generation of American Indy 500 winners, perhaps that's cause enough for future acclaim. 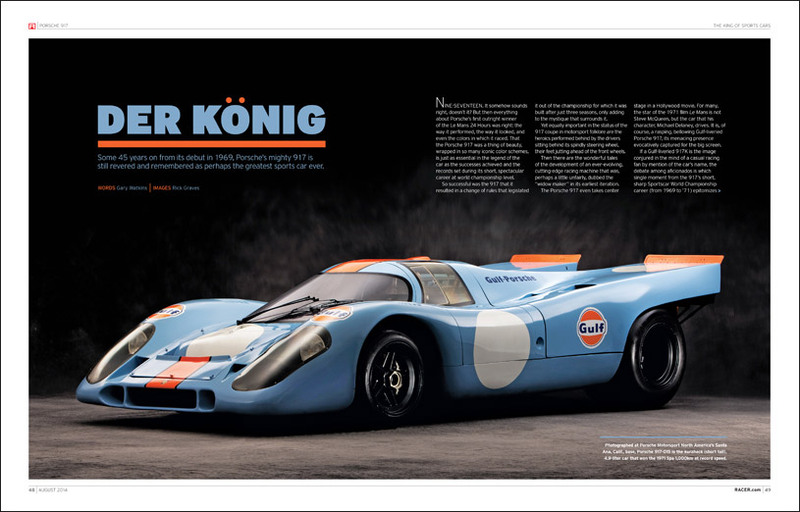 As for the "oldies," we surely don't need to explain why we included the Porsche 917K, the Trans-Am and IMSA GTO Audis, or the Lancia Stratos, nor why it was so tough picking the greatest Penske designs. 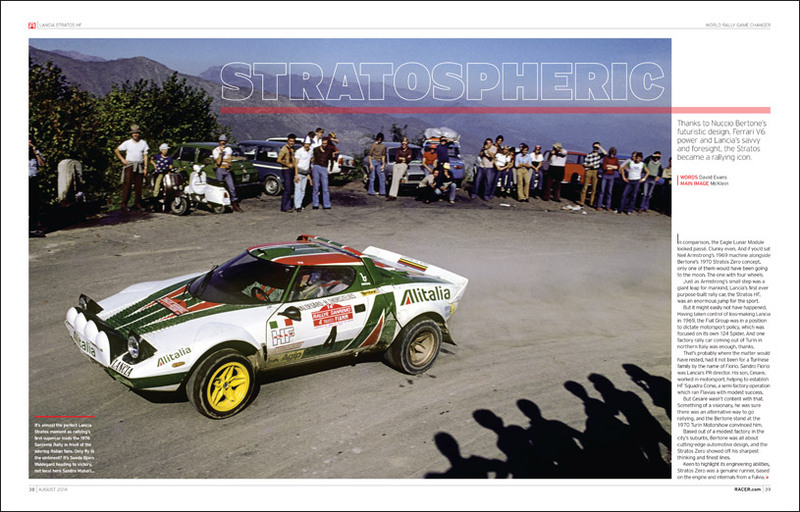 Starting this column, did we really use the word "dilemmas" to describe content discussions for the Great Cars issues? We're fooling no one. 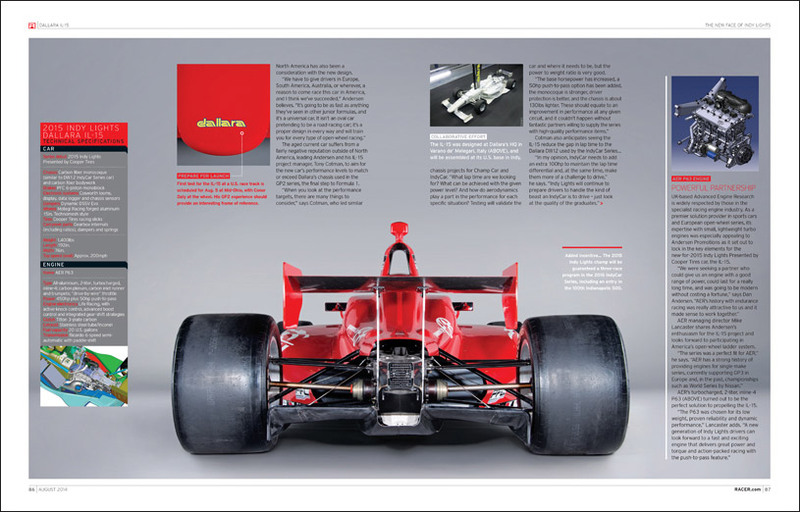 As motorsport fanatics involved in publishing, RACER staff live for these kinds of dilemmas!